SPISim is an IBIS/IBIS-AMI modeling expert. 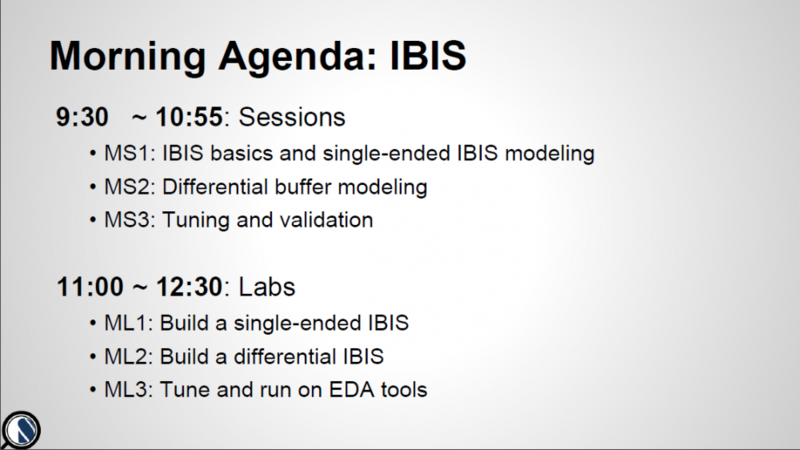 We provide on-line or on-site IBIS/IBIS-AMI model training to enable creating your own IBIS and IBIS-AMI model. IBIS-AMI training is based on AMI model created by SPISim, accompanied with easy-to-understand Matlab (using open source Octave) and python script. 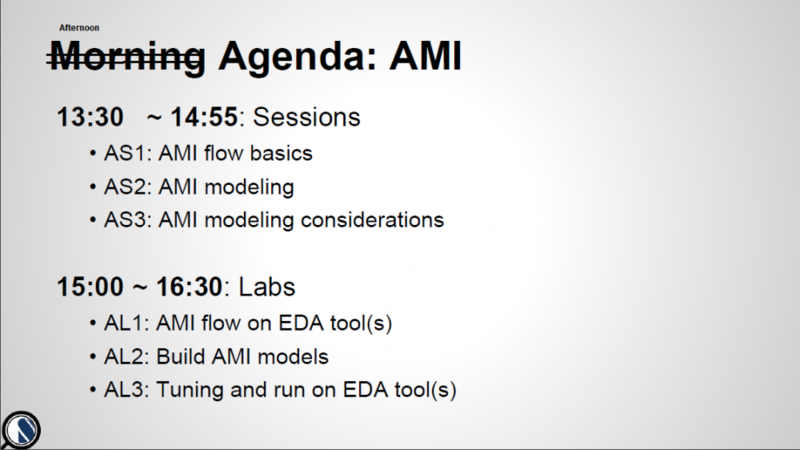 So you can experiment AMI model’s operation by tinkering different model’s parameter and see results instantaneously. Both Tx FFE and Rx CTLE will be covered in the lab sections. Students do NOT need to have prior knowledge on C/C++, IBIS or IBIS-AMI. We starts from fundamental theorems on what these industrial standards are, how they operates and how to generate, followed by caveats such as model tuning and fixing. Labs with materials will also be included. If 3rd party EDA tools such as ADS from KeySight or HyperLynx are also available, we will be able to simulate models just generated on the spot. Otherwise, SPISim’s built-in channel simulator can also be used without purchase required. Full licenses will be provided for the duration of the training sessions. 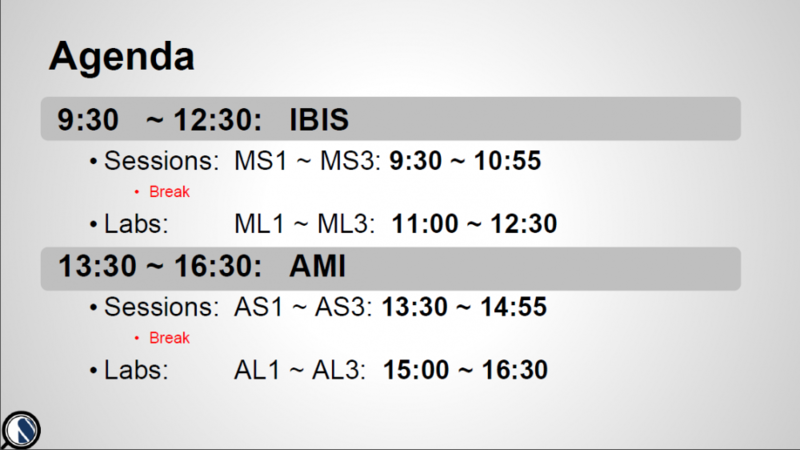 15 hours: Two day sessions for IBIS and IBIS-AMI with extended materials and labs. Other formats are also possible, please let us know. Up to 100 participants in capacity. For lab session, it’s better to keep number of student 10 or lower. This training is available from SPISim for $6000 USD. Instructor will travel to your site (US) with a fee of $8000 ~ $15000 depending on the locations for an one-day course. Your company will prepare conference room and projectors for this training purpose. For lab session, it’s better to keep number of student 10 or lower. One very popular option is to combine such training with a modeling service up front. In this scenarios, SPISim provide IBIS/AMI modeling service for one or more of client’s SERDES design. Once validated (and released to client’s customers), SPISim will use these models as an example to create a step-by-step workflow. Oftentimes a company’s SERDES design architecture will not change drastically between design revisions, this approach enables clients/students to be able to apply knowledge learned toward their next AMI modeling project. Training fees for this kind of arrangement is considered as a post-modeling service of the main contract and will have a discount.